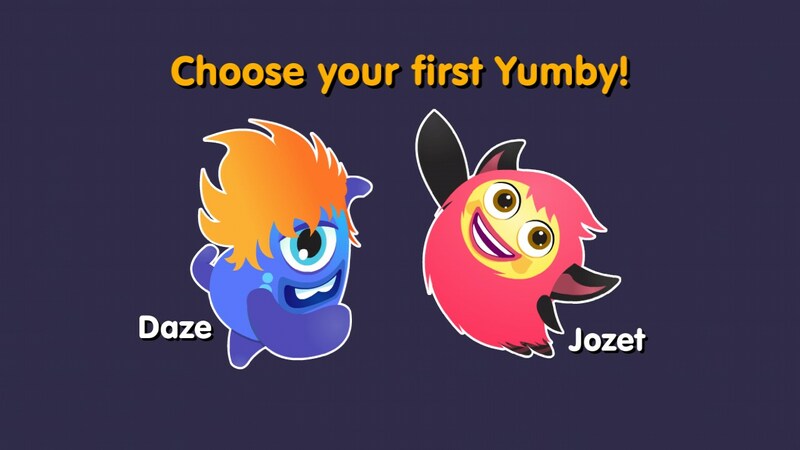 Yumby Smash – Games for Android 2018 – Free download. 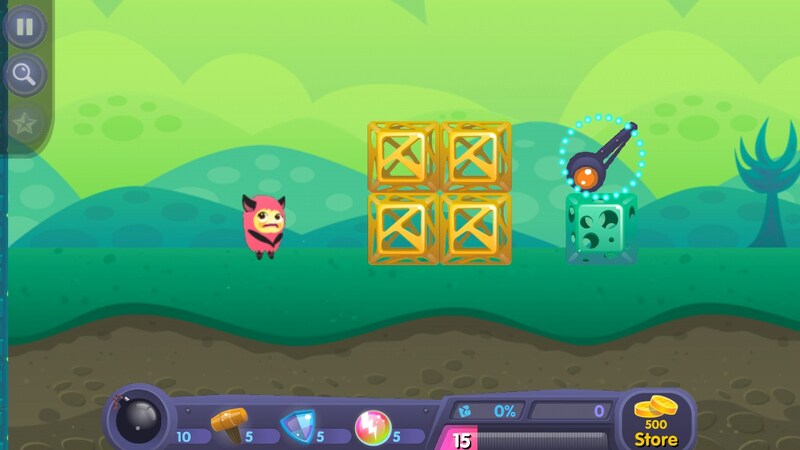 Yumby Smash – Absorbing arcade game about bouncy monsters. 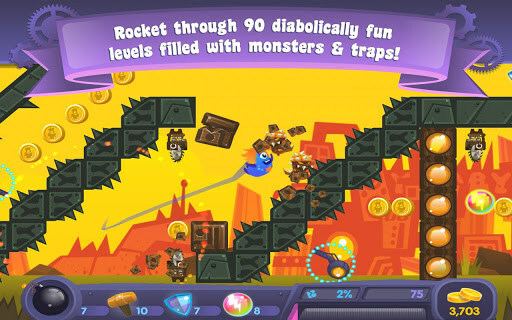 Yumby Smash - is a dynamic arcade game for Android, in which we will play for fun monster-jumpers. Our challenge will be to destroy each level as many objects as well as details of the ship and collect coins. Engaged in developing a game studio PlayGearz, and this is their first game under the operating system Android, came to us with iOS. 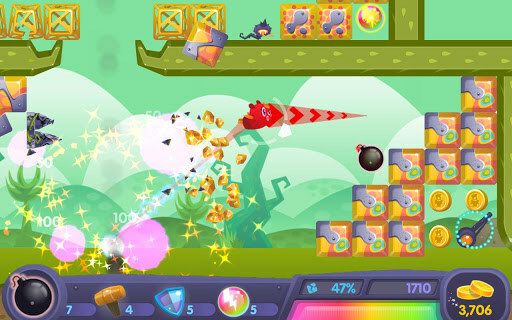 The game has a rather unusual and fun game play: we will not just throw monsters in different directions, and catch them in the air that do not quite easy. Control of the game by a single finger. In order to run a monster, it is necessary to select a finger and then specify the direction of flight. The further we will take your finger of the monster, the more force it will fly. At any time, when the monster flies, we can grab it back with your finger and send it to the other side. At each level will be hidden some pieces of the ship. Once we move the first piece, the level ends and begins counting results. Accordingly, before the lift last piece to be destroyed as much detail. In the lower right corner of the pink color is specified our health and energy. For each flight, and a collision with a sharp object stored energy slowly decreases. Increase its using special bonuses. Also in our arsenal there is a bomb, a hammer, a shield and a ball of energy, these bonuses are not infinite, and buy the in-game store for the collected coins. The disadvantages include not very convenient zoom, the action takes place slowly and smoothly. Also, in the beginning not quite understand the meaning of what is happening, why we break everything and collect the pieces of the ship? Summary. 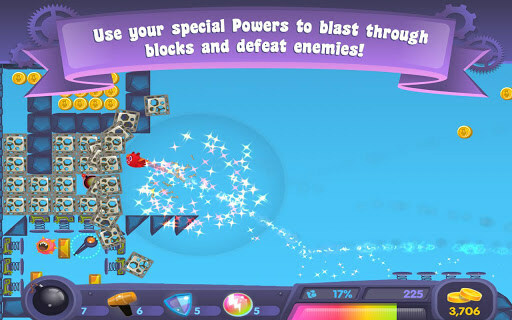 Yumby Smash - is a fun and unusual arcade game for Android with interesting game mechanics and a wide range of levels. The game is distributed as a free or a paid version, which differ only in the presence or absence of advertising and different amounts of seed stock of coins.